His diverse repertoire includes compositions from early Baroque to the present. His debut CD “Cello Populus” is an eclectic collection of contemporary solo pieces and includes works of Hindemith, Ligeti, Crumb, Penderecki, Saariaho and Lutosławski. Praised by Mike D. Brownell of AllMusic.com as “a truly exceptional album that leaves listeners eagerly waiting for another installment”, the recording earned considerable attention to award Dariusz the prestigious Baker Artist Award in Baltimore in 2013. 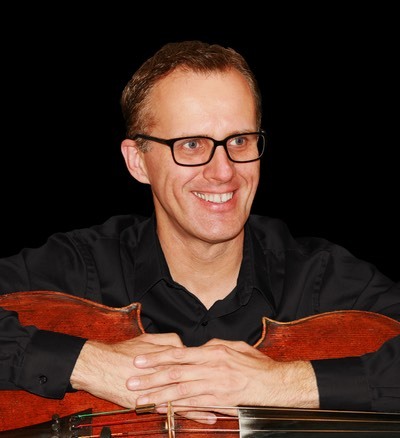 Dariusz’s second recording with pianist Michael Sheppard, “Cello Phantasia”, features music by Schumann, Franck and Rachmaninov. Joined by violinist Igor Yuzefovich to create Monument Piano Trio, the talented Peabody alumni group has a recording of pieces by Brahms, Shostakovich and Schoenfield. This trio recording as well as Dariusz’s subsequent recordings, were recorded, edited and produced by Dariusz. 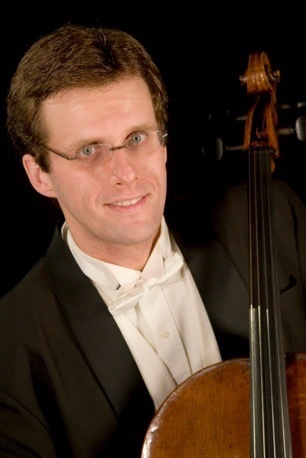 As a recitalist and chamber musician, Dariusz has appeared in countless chamber music concerts including the Chamber Music by Candlelight, Music in the Valley, Music at the Great Hall in Baltimore as well as the Weill Hall, Barge Music Festival and Merkin Hall in New York City. He is currently the artist in residence at An Die Musik – a lively and active performance venue in Baltimore, where he performs a series of three recitals per season. Dariusz began his musical education at the age of six in Warsaw, Poland studying with Zbigniew Liebig and Andrzej Zieliński. As a scholarship recipient at the Peabody Conservatory of Music in Baltimore he studied with world-renowned cellist Stephen Kates.